Hydrangea involucrata flowers later than either H. macrophylla or H. serrrata, and a bit later than H. aspera and H. quercifolia. It features a lacecap inflorescence with white sterile flowers that surround the fertile purplish ones. It has fuzzy, felted looking leaves that resemble a smaller H. aspera, though these can still become quite large in shadier conditions. 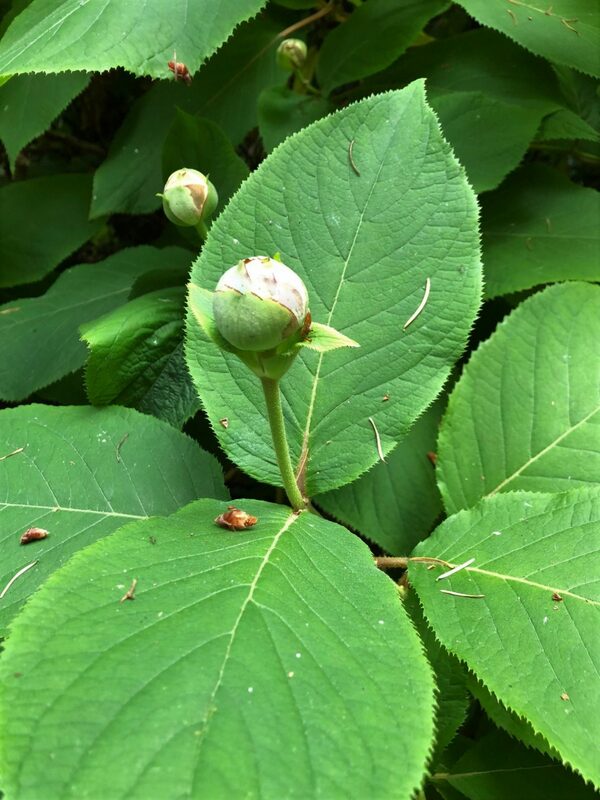 Its unique and, to my mind, very ornamental feature occurs before flowering, as the buds are presented as large, round balls. This is similar to how the evergreen climbing H. integrifolia appears in bud, but distinct from other common hydrangea species. The species name refers to this feature, as the flowers are surrounded by an involucre—a covering of the flowers by a whorl of bracts. The large bracts are covered by a whitish down in the bud stage, and the rounded buds are 1 or more inches wide. The flowers are very ornamental, and held elegantly on generally unbranched stems that arise from the base of the plant. It blooms on old and new wood and can therefore have a long flowering season, running from late July to early October. The height of bloom is generally in August. Like most hydrangeas, Hydrangea involucrata prefers organic, well-drained soil with even moisture. You’ll want to water this regularly during drier periods in the summer to keep it looking its best. Partial shade is preferred, though this species can take a bit more sun in the maritime Northwest. Propagation is easiest by cuttings. There are no serious disease or pest problems and growing it is fairly trouble-free. You can deadhead the previous season’s blooms in late March or after the danger of hard frosts have passed, but this is not necessary unless you desire a tidier appearance. This species flowers are purplish even in more alkaline conditions. Location: There are three specimens in the Arboretum, all in Grid 12-6E. The first (accession # 129-70-A) is a smaller growing specimen, just to the northwest of Hydrangea luteovenosa and the large concrete bench. The largest (# 56-99) is further west, just southeast of the path leading to the central lawn in the Camellia section. 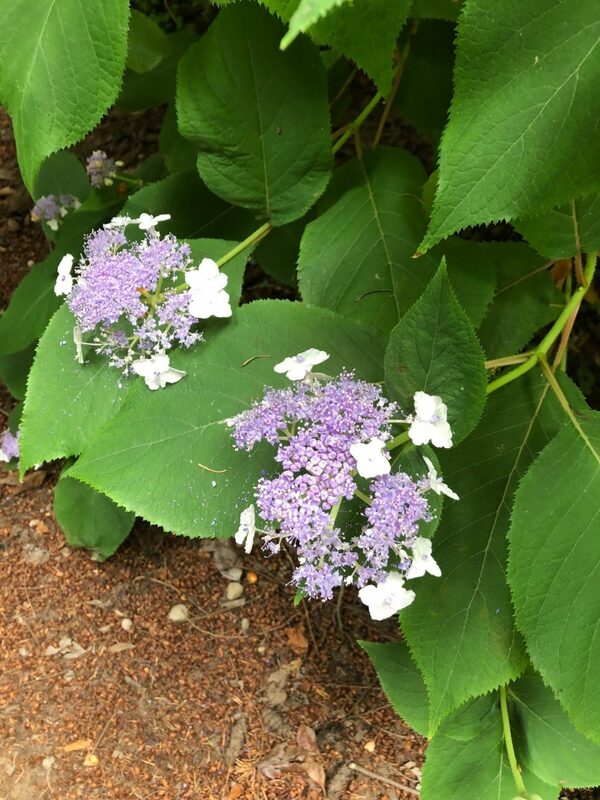 The third plant (# 596-62-B) is at the east side of that central lawn, just behind (east) of a large mass of Hydrangea macrophylla ‘Lanarth’. Origin: Hydrangea involucrata is native to Japan and Taiwan. 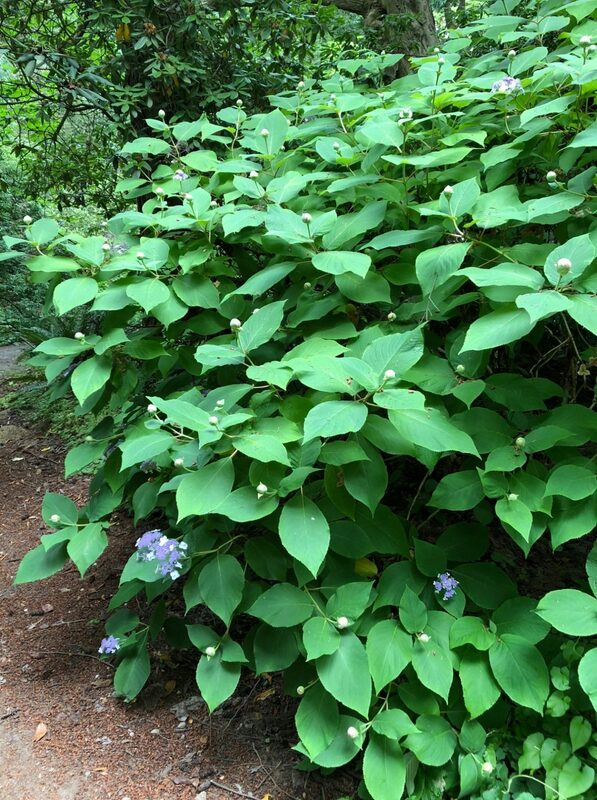 Height and spread: In the wild, Hydrangea involucrata usually reaches 5-6’ high and as wide or wider. In the Arboretum, our specimen from Dan Hinkley’s seed collections near Mt. Kiyosumi in the Chiba prefecture of the island of Honshu in Japan have grown to 9’ high and as wide, which is unusually large (# 56-99-A). Our other specimens are more typical in size.